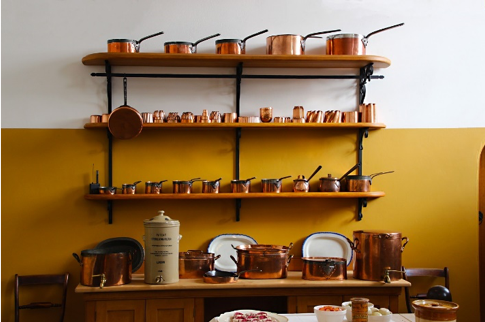 As much as we know that our kitchen is viewed as perhaps the most important room in our homes, it can also be a dumping ground for long-forgotten spatulas, lidless Tupperware dishes and empty mason jars that were once destined to hold our homemade strawberry jam. The amount of clutter that we collect in our kitchen can make the space seem claustrophobic and impractical to work in. On top of that, you may have a small kitchen, which can make finding space even more difficult. We’re here to help you maximize the space in your kitchen with some helpful tips. This may seem obvious but you’ll be surprised at how much previously essential items you can collect in your kitchen. Take some time to determine what you actually need and what you’re holding onto even though you know you’re never going to use it. This is not only aesthetically pleasing and contemporary, but it is also extremely functional. These shelves will allow you to store what you need without taking up valuable counter or cabinet space. Just be sure not to put your lidless Tupperware dishes on display. That’s not a good look for any kitchen. We know how all-important that first cup of java is every morning. Perhaps you need a soothing cup of tea to get your day started. Whatever your beverage of choice, you need a mug. As essential as they are, they can take up quite a bit of cabinet space. After hanging up your new open shelves, why not add some hooks to the underside for your mugs? They’ll be out of the way while still being within easy reach in the morning. We don’t mean in an obvious way. We mean actually using the inside of the cabinet doors to store some smaller kitchen essentials. Invest in some narrow racks for spices and condiments. You could even use it for your baking goods like food colorings or measuring cups and spoons. If you have a small kitchen, this may seem counter-intuitive to saving space. 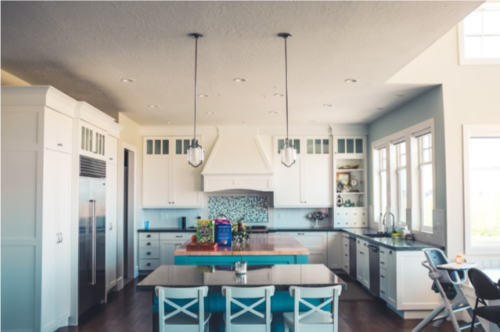 For this reason, it’s important to ensure that you have enough space to add an island while still have enough space to move around. That being said, a multi-functional island could be just the answer you’ve been looking for. 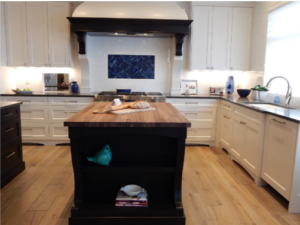 If you have a look at one of our previous blogs, you’ll see just how many ways you can use an island, all of which will increase space and efficiency in your kitchen. All About Bathrooms and More are experts at maximizing spaces and utilizing them effectively. This is exactly why we’re the first choice for all of our clients here in Colorado. Contact us today to schedule an appointment with our fantastic team.